In Nevada County, we are mostly unaware of the small solitary wild cats that control rodent populations. Their stumpy tails inspired the common name – bobcat. Rufus, the scientific species name, is derived from its brown coat. Bobcats are adaptable. They live in deserts, forests, and urban areas throughout North America. They live as far south as Northern Mexico and as far north as Southern Canada. In California, home ranges (territories) vary between 1/4 to 1/2 square miles. The range of a male is twice the size of the female. Male territories may overlap. Female home ranges do not. 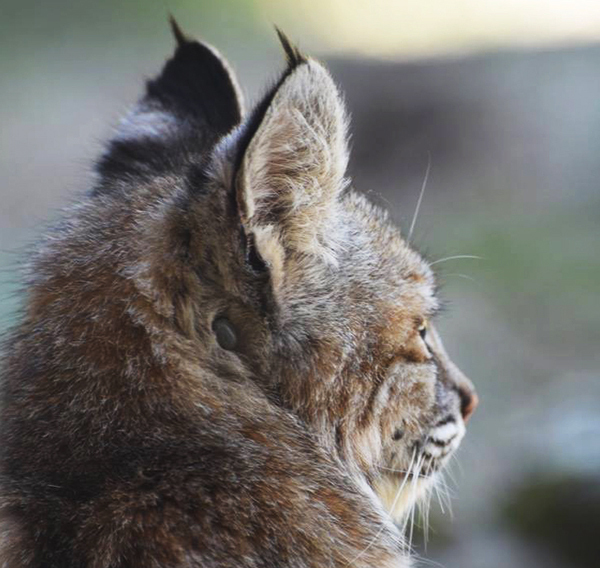 Bobcats will select home ranges based on food availability, cover, protection from elements and human activity. Farms and recently logged areas attract prey animals; bobcats naturally follow. 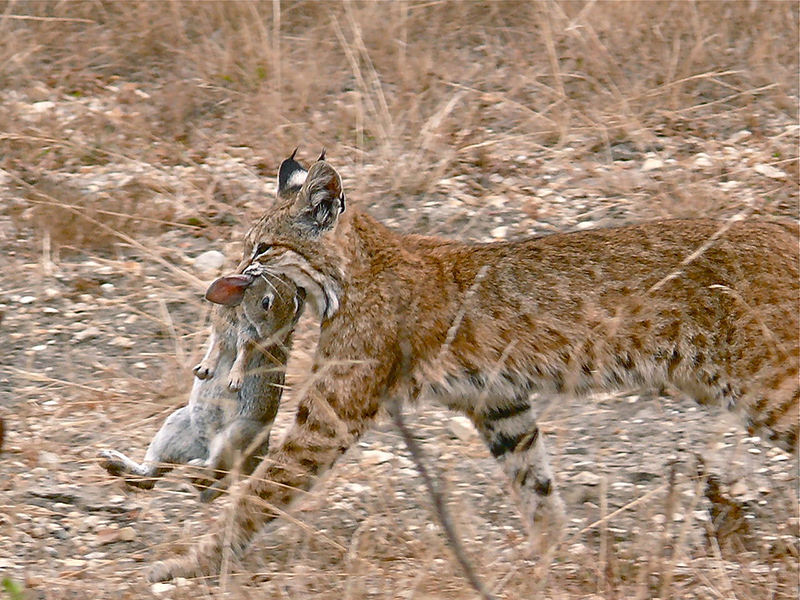 Obligate Carnivores, bobcats only eat meat. Their diet consists of; rabbits, mice, ground squirrels, woodrats, and gophers. They have also been known to eat birds, lizards, insects, and deer if a carcass is available. Bobcat prey usually weighs between 1 1/2 to 12 pounds. Opportunists, they are adaptable to living in urban environments. If their territory encompasses farm animals, they will prey on lambs, chickens and young pigs. Solitary creatures, they avoid human contact. Bobcats are most active between dusk and dawn and hunt in open grassy areas. Females will have between 2-4 kittens per litter. They give birth between February and June. The bobcat mother raises her offspring alone. Natal den sites are located in thick vegetation, hollow logs, inside abandoned woodrat nests, or within rock outcroppings – any place the female feels is concealed and safe for her young. Several additional shelter dens inside her home range can be in stumps, brush piles and on rock ledges. 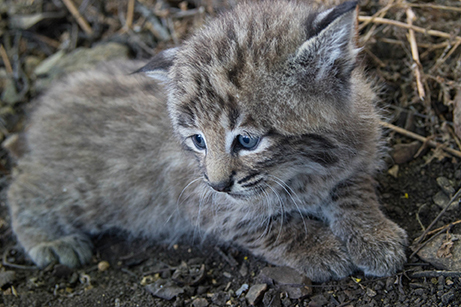 Owls, foxes, coyote, mountain lion, adult male bobcats, and humans are predators of bobcat kittens. When the kittens are between 8 – 11 months old, they are forced out to find territories of their own. The average lifespan for a bobcat is approximately 5 years, but some study subjects have made it to 15 years. Just like house cats, bobcats are susceptible to the same diseases. Both types of cat can transmit pathogens to each other. The most dangerous environmental threat to bobcats is rat poison. With affected mothers, bobcats can have life-long exposure. If you enjoyed this post, you may also like California Oak Trees, Habitat Foundation Species or Coyote – the Ultimate Adaptor.